The assembly of proteins into defined complexes drives a plethora of cellular activities. These protein complexes often have a set of more stably interacting proteins as well as more unstable or transient interactions. 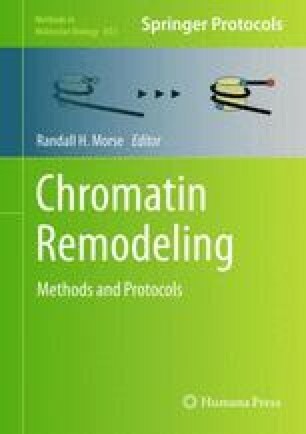 Studying the in vivo components of these protein complexes is challenging as many of the techniques used for isolation result in the purification of only the most stable components and the transient interactions are lost. A technology called transient isotopic differentiation of interactions as random or targeted (transient I-DIRT) has been developed to identify these transiently interacting proteins as well as the stable interactions. Described here are the detailed methodological approaches used for a transient I-DIRT analysis of a multi-subunit complex, NuA3, that acetylates histone H3 and functions to activate gene transcription. Transcription is known to involve a concert of protein assemblies performing different activities on the chromatin/gene template, thus understanding the less stable or transient protein interactions with NuA3 will shed light onto the protein complexes that function synergistically, or antagonistically, to regulate gene transcription and chromatin remodeling. Funding was provided by NIH grants P20RR015569, P20RR016460, and R01DA025755.